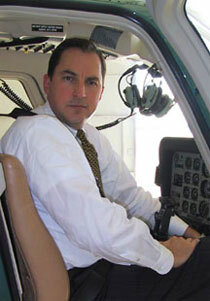 This knowledge and experience is paramount in Mr. Kettles’ efforts as your helicopter accident litigation lawyer. Aviation law is an especially complex and technical area of personal injury law. It’s important to work with an airplane accident litigation attorney that is able to investigate the details of your accident and pinpoint the cause and negligent parties involved. Jon Kettles is a graduate of the Southern Methodist University School of Law, which publishes the oldest law journal dedicated to aviation law. He also holds a Masters of Science in Business Administration from Boston University. He has worked with some of the legends of aviation law such as Windle Turley and John Howie. Working with such champions of aviation law has exposed Jon Kettles to a number of landmark aviation cases and has greatly influenced how he handles each of his own cases. Jon Kettles only knows one way to prepare cases: by applying big case techniques to every case in order to give every client the advocacy they deserve. Mr. Kettles holds a bachelor’s degree in aerospace engineering and also has relevant hands-on experience in the field of aviation. He has also worked on accident investigation and aircraft safety improvement programs as part of the Engineering Division of the U.S. Army Safety Center. As a former Army Captain, his flight experience ranges from low-level helicopter operations in Korea to fixed-wing reconnaissance in Europe and Iraq as well as trans- Atlantic aircraft delivery flights.